Roshan Thomas was one of the first employees at Tesla, joining the upstart electric car company in 2001. Across from him sat CEO Elon Musk, a tall, energetic engineer who described his dream of replacing the internal combustion engine with a global fleet of electric cars. He asked Musk whether taking on a problem that automotive giants with their billions of research dollars had failed to solve was too ambitious. The CEO answered that he looked at only two things before embarking on anything. 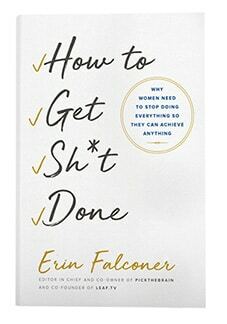 First, can it be done? Are we breaking any laws of physics by doing this? Second, is it important enough for humanity that it would make a major dent? If the answer to 1 and 2 is ‘yes,’ then he would move forward. Musk describes this approach to problem solving as “First-Principles” Thinking. It is a thought process that allows a designer to innovate in clear leaps instead of incremental gains. With first-principles thinking, an innovator begins at the most fundamental truths and reasons up from there. Such an approach has allowed Musk to do unprecedented things with the Tesla Model S. Musk is obsessed with each car being perfect. He has told his teams that he wants the cars to be so accurate that they could be used as a calibration device. If he wanted to know how long a meter was, he could measure the car. This approach to design comes from the design book for rocket design, which he uses for his rocket firm SpaceX. Musk is not the first person to apply first-principles thinking to problem solving. Aristotle said 2,300 years ago that approaching first principles is the key to doing any kind of systematic inquiry. Another ancient Greek inventor also applied this thinking – Archimedes. Archimedes was the Elon Musk of his day, building technology centuries ahead of his time and discovering scientific proofs that were not rediscovered until the time of Newton. He was such a genius inventor that Roman chroniclers claimed he built a primitive laser out of an array of mirrors. Its bursts of solar energy burned down an entire enemy naval fleet. Archimedes lived in the city-state of Syracuse, a Mediterranean backwater with little access to technological tools or written works that he could use to carry on his studies. Despite his isolation, Archimedes’s aggressive adherence to logic allowed him to make big discoveries. Many of Archimedes’s inventions are still in use today: the compound pulley is still the basic mechanical feature of an elevator. He invented a screw that moved water uphill and catapults that defended Syracuse from Roman invaders. He was the first scientist to apply abstract mathematical principles to the world around him. The third inventor to use first-principles thinking is Thomas Edison. He achieved similar levels of productivity as Musk and Archimedes. He was arguably the most prolific inventor in all of history, with 1,093 patents to his name. His lab in Menlo Park, New Jersey, churned out a minor invention every 10 days and a big thing every six months or so. While many of Edison’s most famous inventions were more practical versions of things that already existed (such as the light bulb), he applied first-principles thinking to come up with original designs, such as the phonograph. While other inventors had already made devices that recorded sounds, Edison’s invention was the first to reproduce the recorded sound. The phonograph took nearly a decade to bring to the market. He first conceived of the idea in the 1870s of turning electromagnetic waves into speech. Edison first used grooved paper disks or spools of paper tape. Edison eventually settling on a tinfoil disk. But tinfoil was so delicate it could only be played once or twice before becoming unusable. 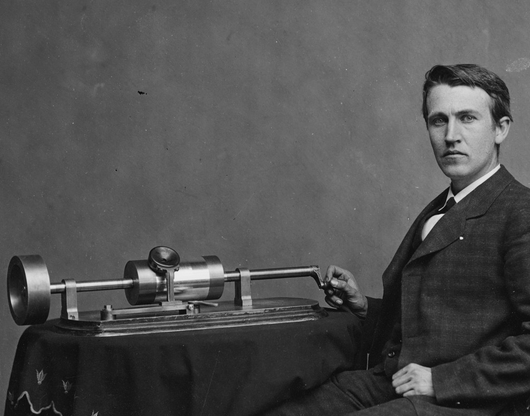 Edison spent 10 years testing every substance imaginable until settling on the wax cylinder. His invention spread rapidly and became the dominant audio recording format for most of the 20th century. Being a first-order inventor meant having every conceivable material on hand in order to test any theory. Edison’s laboratory materials supply items included over 8,000 kinds of chemicals, every size of needle, every kind of screw made, every kind of cord or wire. It also included hair of humans, horses, hogs, cows, rabbits, goats, minx, camels, silk in every texture, cocoons, ostrich feathers, and even a peacock’s tail. Whether you are an ancient Greek scientist like Archimedes, an American tinkerer like Thomas Edison, or a CEO of a rocket ship firm like Elon Musk, first-principles thinking can help you overcome problems in a completely different way than those around you.